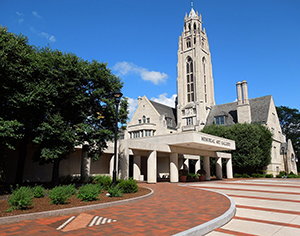 The Memorial Art Gallery (MAG), part of the University of Rochester, is located in the Neighborhood of the Arts. Its permanent collection of 12,000 works spans 50 centuries of world art and includes masterworks by artists such as Monet, Cézanne, Matisse, Homer and Cassatt. The grounds offer a Centennial Sculpture park for the public to enjoy for free. The museum complex includes Cutler Union, the former students' union for the defunct University of Rochester College for Women. Audioguides, special events and changing exhibitions are offered year-round. Also check out the Gallery Store or the Creative Workshop for displays of student's works in the Lucy Burne Gallery. The MAG is home to the annual M&T Bank Clothesline Festival each September. Former Director Grant Holcomb chose 26 favorite works for this Acoustic guide tour of the Gallery. Free with OnCell. Offering art and art history classes for adults, teens and children as young as 2 1/2. Enjoy lunch, dinner, coffee, and baked goods at Brown Hound Downtown. Reservations requested: (585) 506.9725.